Mary Hamilton has completed four seasons with Monaghan's grade three band. She has studied music at New York University. 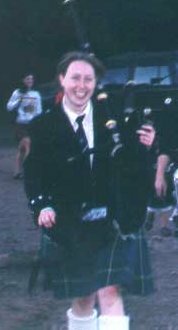 Mary comes from a pipe band family. 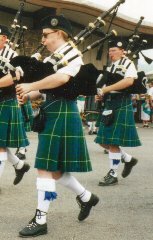 Her father Alex has been a long time member of the County Tyrone Pipe Band. 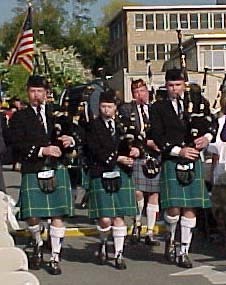 Her brother Andy is in Safron Kilt's grade two drum line and her brother Danny is Monaghan's reknown bass drummer. Mary lives in Astoria, Queens, and works at the Dystrophic Epidermolysis Bullosa Research Association of America.